HAPPY STARS EDUCATIONAL AND WELFARE SOCIETY is located in DELHI Delhi . HAPPY STARS EDUCATIONAL AND WELFARE SOCIETY is registered as a Society at DELHI of state Delhi with Ngo unique registration ID 'DL/2009/0014059' . 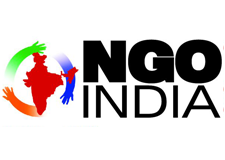 The NGO registration is done by Registrar of Societies with registration number 27746 on the date of 17-05-1995, Its parent ORganaisation is PaulFoundation. The Chairman of HAPPY STARS EDUCATIONAL AND WELFARE SOCIETY is R S YADAV and Chief functionary officer is R S Yadav.